As well as a new look front and rear - complete with sheet metal changes - New Micra has been given a substantial interior makeover. There is new technology, a new centre console, new trim and new finishing touches. Depending on trim level there's an all-new communication centre with the latest state-of-the-art touchscreen navigation system now with a larger screen. On the exterior, additions include two bold new colours and new 15-inch and 16-inch alloy wheels. 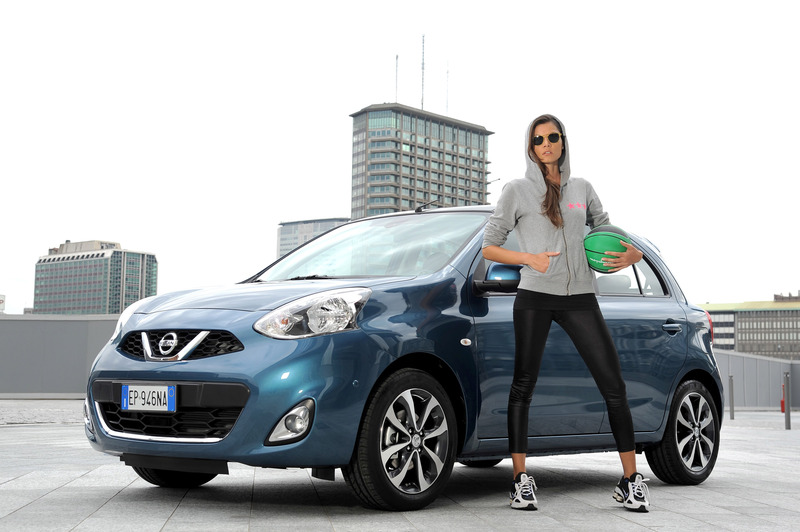 Nissan has also expanded Micra's choice of personalisation options designed to allow an owner to create their own unique Micra. 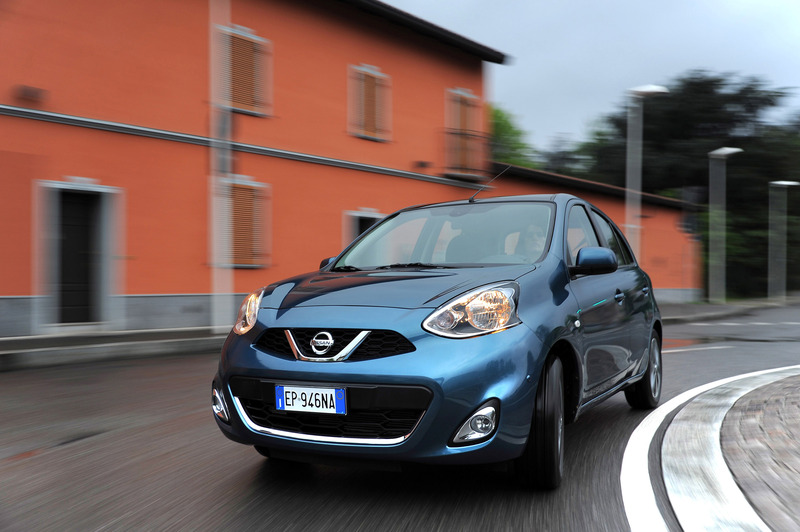 The changes, allied to the model's acclaimed performance and handling, boost and broaden the appeal of Nissan's popular small car. 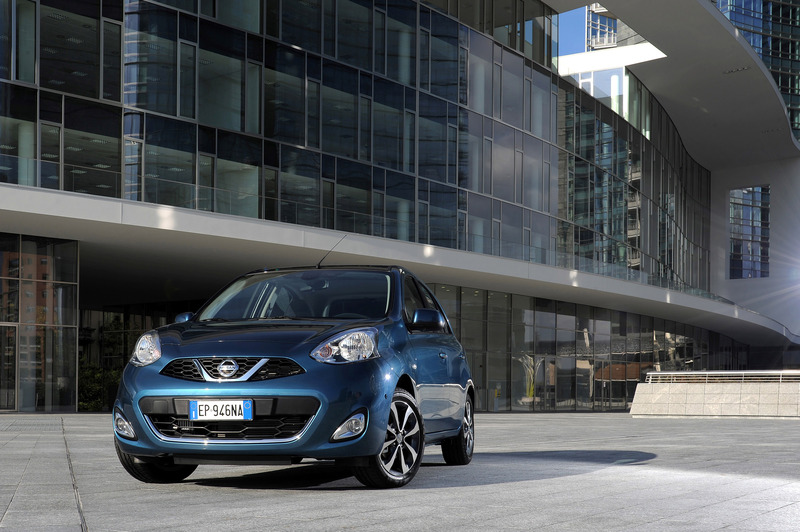 At its heart, however, New Micra remains true to the design ethos that shaped the definitive small car when the original was launched, 30 years and more than six million examples ago. 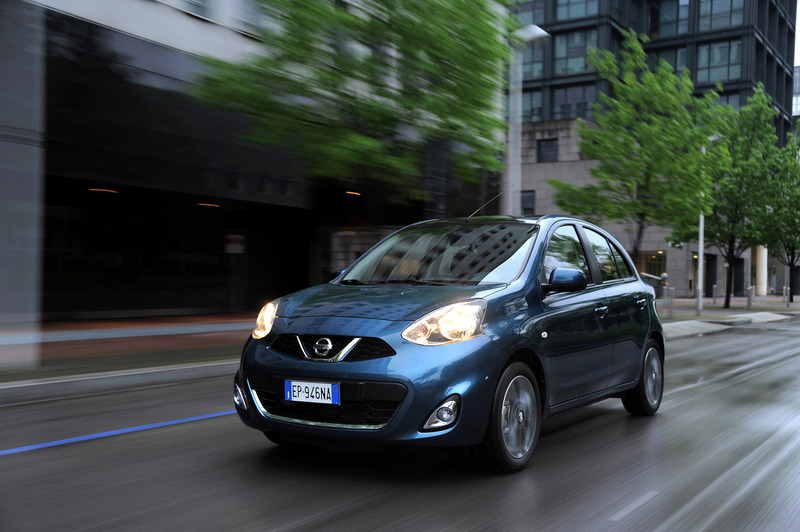 New Micra remains not just fun to drive and, thanks to its compact turning circle, easy to park but is also one of the most advanced small cars on the market. Among its features are its highly efficient direct injection gasoline-supercharged (DIG-S) petrol engine, its innovative, accessible and genuinely helpful Parking Slot Measurement, which helps guide the driver into tight parking spaces, and I-Key which delivers not just keyless entry but also keyless engine start. 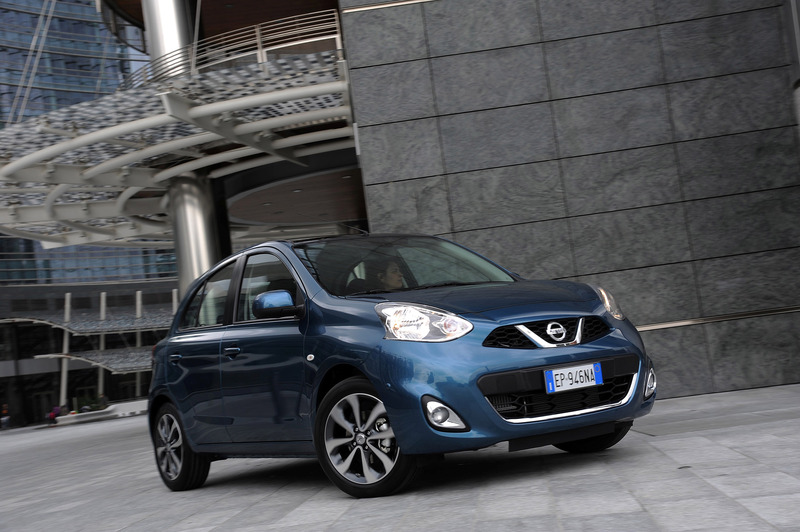 With its new look, comprehensive improvements and quality upgrades, New Micra will build on the success of the current model, introduced to the European market three years ago. It's the third best-selling Nissan model in the UK and Europe behind Qashqai and Juke. 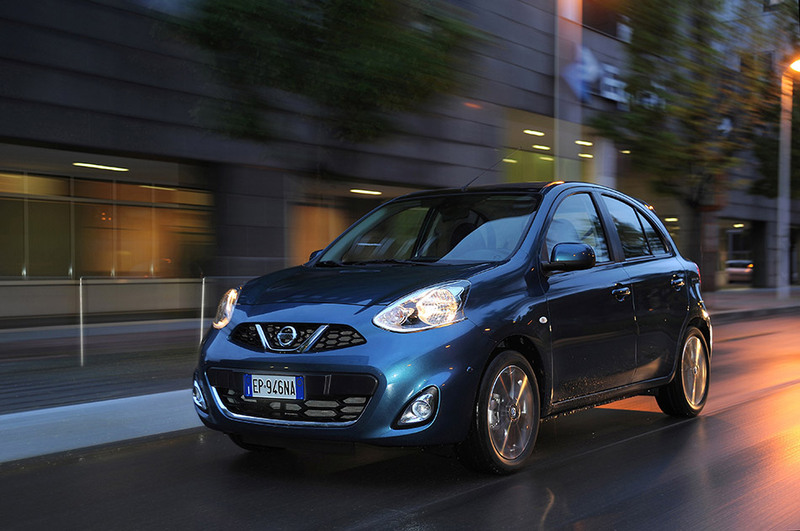 New Micra's most obvious changes are to the exterior. 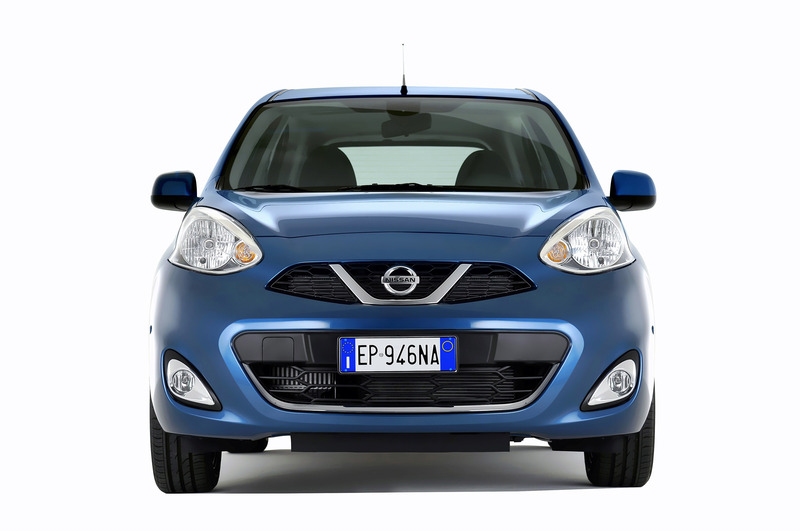 The entire ‘face' has changed with a new grille re-establishing a stronger link to Nissan's corporate look with the familiar circular badge ‘held' within a chromed extended V-shaped motif. But it's not just the grille that has changed. In fact, the bonnet, wings, headlamps and front bumper are also all new. And where fitted, the front fog lamps have been given a distinctive new shape & chrome surround. 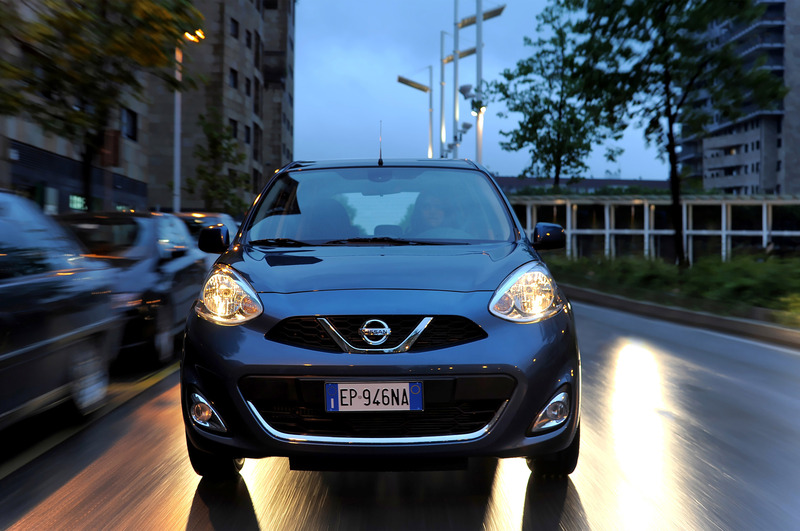 The changes give New Micra a stronger, more assertive and dynamic look. It's all change at the rear, too, with a redesigned bumper, new LED tail lamps and a panel at the bottom of the tailgate. The fresh look is complemented by a new 15-inch alloy wheel design and the introduction of machine-finished 16-inch alloys. 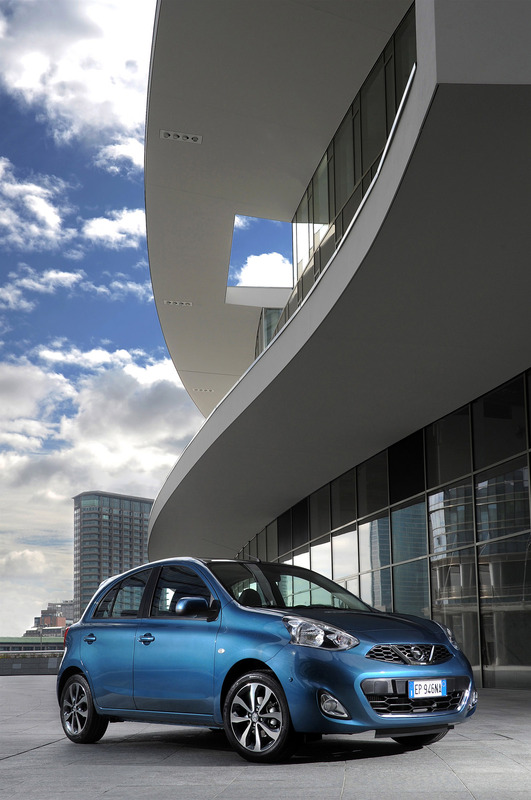 Together the styling changes make New Micra appear more purposeful and better ‘planted' on the road. An eye-catching palette includes two new colours: pearl metallic Pacific Blue (a predominantly turquoise shade) and metallic Platinum Sage. These join the eight existing colours. A number of significant changes can be found inside too. The instrument graphics ahead of the driver have been improved for greater clarity, while there's a totally new centre console with restyled air vents. The interior has been enhanced with the use of gloss black finish on the centre console and a silver look to the gear selector finisher. The door armrests have been textured to give a higher quality appearance and there are new seat and door pad fabrics. Visia and Acenta grades have a durable tricot mesh woven fabric - a material often used for sports clothing - while top Tekna models have a suede-like fabric with double stitching. The interior also now benefits from dash-mounted Aux-in and USB slots linked to all audio units while a 12v socket has been added, allowing mobile phones or MP3 players to be recharged on the move with ease. All but entry-level Visia models benefit from audio equipment that has been better integrated into the centre console with matching gloss and matt black finishers as appropriate. 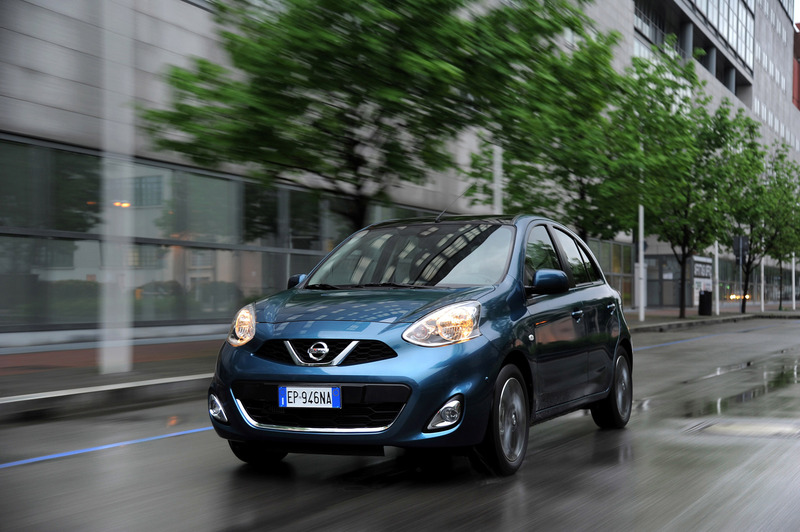 More significantly, New Micra benefits from the availability of the latest NissanConnect navigation and communication system, which has new features and a bigger 5.8-inch screen (up from 5-inches) with chromed controls. Upgraded navigation now features eco-routing, which automatically calculates the route likely to use the least fuel. It is supplemented by an eco-scoring table that allows a driver to check how economically he or she has been driving. 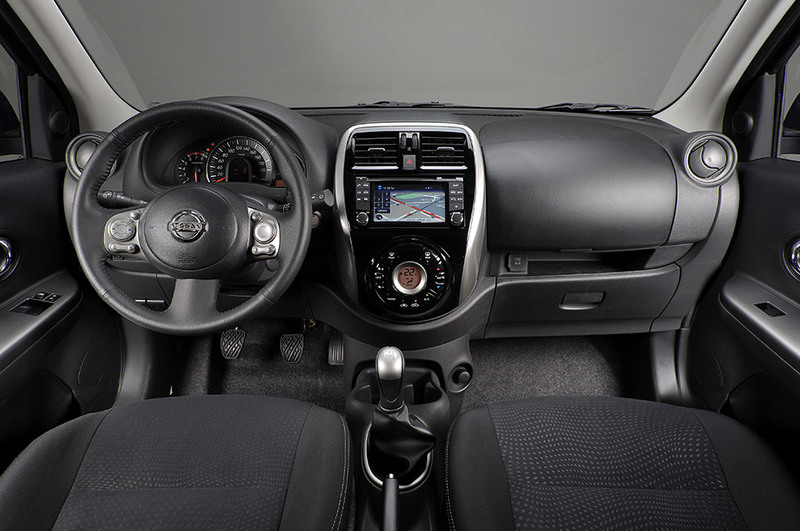 The larger colour touchscreen not only means maps and directions are easier to read, but also that album cover art linked to the owner's music library can be displayed. The new system also incorporates advanced features such as Google Send-To-Car technology, which allows an owner to plan a journey on their PC or tablet at home or in the office and then send the instructions to the car ahead of the journey. Google's Point of Interest (POI) search-and-access to weather forecasts, local fuel prices and flight information, is also included. The navigation system now includes a motorway ‘exit view' complete with lane guidance to help when leaving highways and the system also displays prevailing speed limits with a driver-set speed warning providing visual and audible alerts when the car hits a certain speed above the limit. Another innovation is the availability of an advanced parking aid. 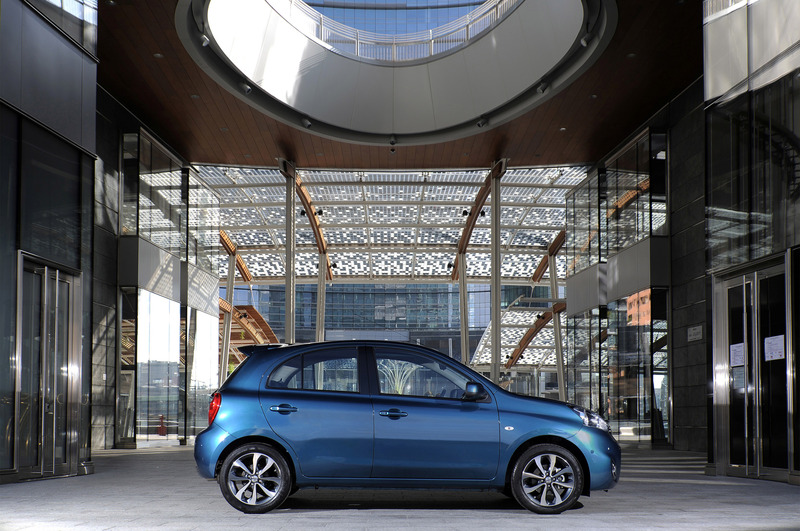 Thanks to its electric power steering and one of the best turning circles in its class - just 4.65m - New Micra is instantly at home in the city... especially when equipped with Parking Slot Measurement and Rear Parking Sensors. 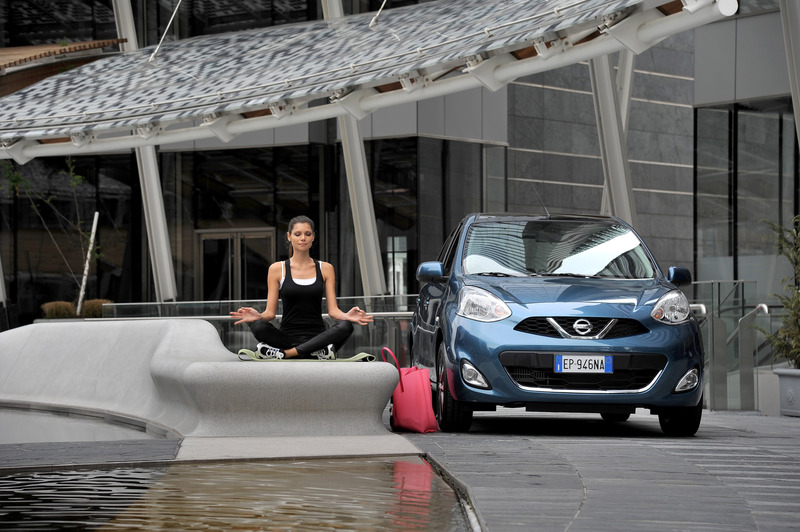 PSM lives up to its name by measuring parking slots and alerting the driver via a dashboard display as to whether New Micra can be safely parked in the space or not: the system can even be adjusted to account for the driver's skill - amateur, normal or expert. But perhaps the biggest innovation is under the bonnet where one of the most efficient petrol engines in the world can be found, Nissan's latest three-cylinder 1.2-litre direct injection gasoline supercharged (DIG-S) unit. The range-topping DIG-S develops 98PS to provide exceptional performance and refinement with diesel-rivalling economy (68.9mpg combined) and emissions from just 95g/km. DIG-S engines also feature automatic stop/start when the car is stationary improving fuel economy by around four per cent. Mid-range Acenta adds chrome accents, body colour door mirrors and handles, 15-inch wheels, roof spoiler, automatic climate control, front fog lamps, driver's armrest, leather covered steering wheel, Bluetooth connectivity plus automatic control for the headlamps and wipers. 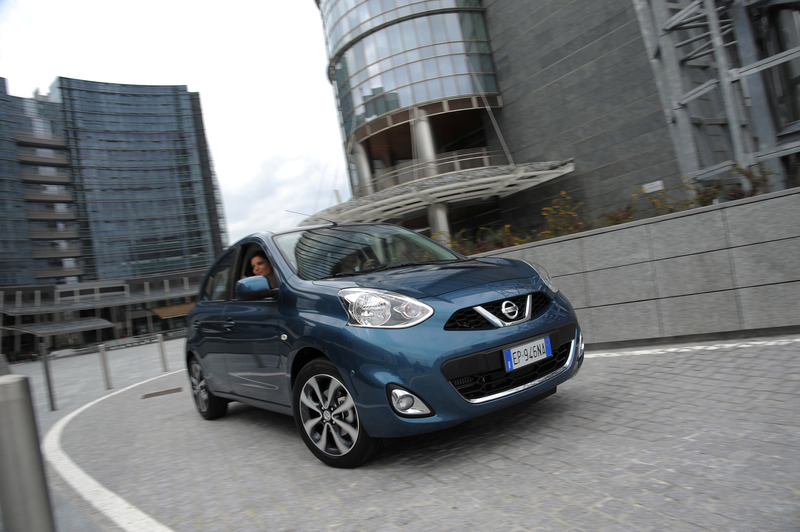 "New Micra benefits from all the attributes of the current K13 model such as strong performance, handling and advanced technology, but with enhanced quality and a dynamic new look. 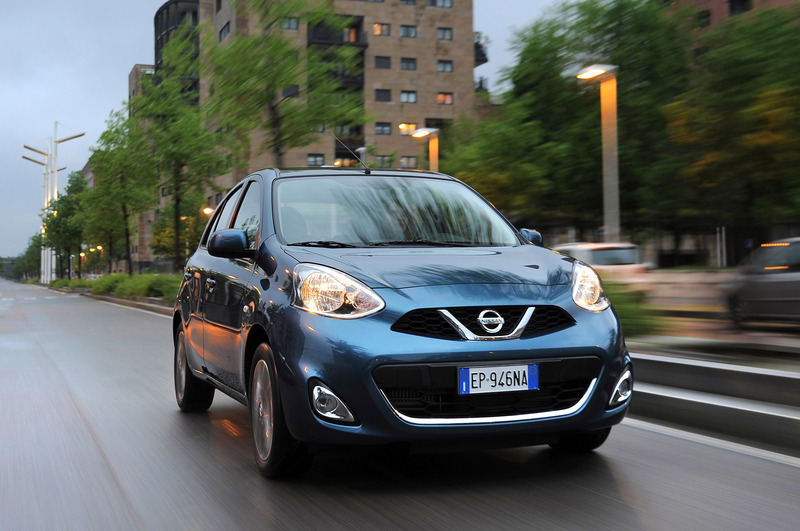 The next chapter of the Micra story has begun," said Helen Perry, Micra Product Manager for Europe.